Lightweight, rustproof aluminum frame with straight tubes, 622 mm (700C) "road" wheels for easier rolling, polycarbonate fenders to protect you from spray. Just add a good lighting system and you're ready to commute! Commuting is among the most stressful types of riding for equipment, also one where reliability is most critical. 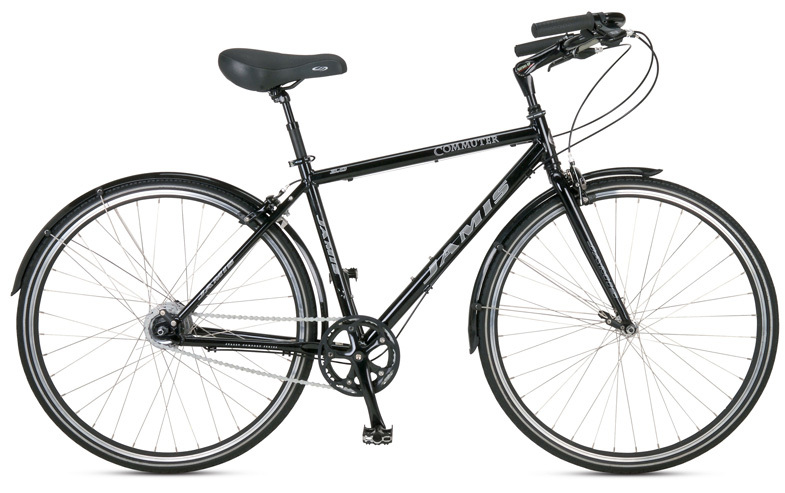 The Commuter 3.0 is built for reliability and comfort, without being a sluggish tank. Drop by and take one for a test ride, you'll be impressed! WHEELSET Weinmann Zac 1800 double wall rims, 622 mm (700c), with Formula QR front and Shimano, Nexus Inter-8 rear, 36 14g stainless steel spokes. SIZES Women: 14.5" 17.5", Men: 14.5" 16.5" 18.5" 20.5" 22"